Picking wild blackberries along the side of the road is a rewarding summer pastime. 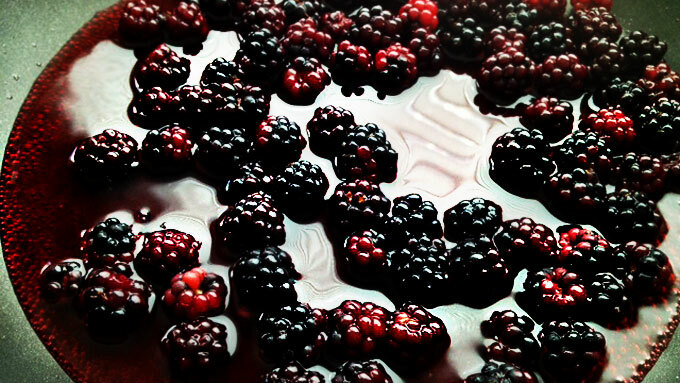 One by one these plump, dark, juicy berries fill containers waiting to be transformed into late summer deliciousness. The name of the game is to pick as many as you can without enduring too many war scars from brambles (thorny protective branches) – as if they could deter me. Because of their invasive nature here in the Northwest, I have developed a love/hate relationship with them. There is no denying how wonderful it is to pick a berry from its sun-ripened vine right into my mouth. But their invasive nature makes me hate them because they take over my yard with a kind of arrogance I equate to bullying. But this leaves me in a conundrum because I love this fruit for its sweet and sometimes tart bursts of flavor. 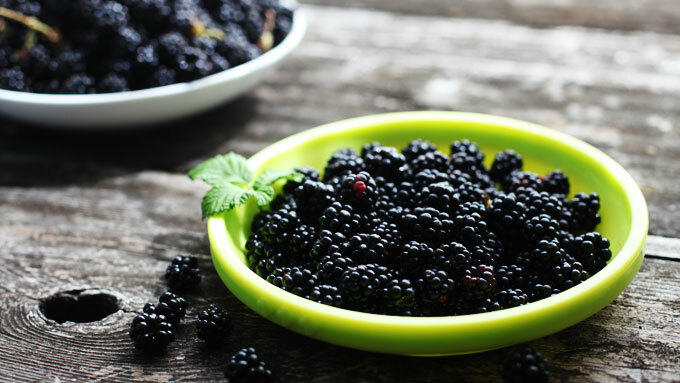 Because they are free for the taking, picking blackberries provides motivation to make good use of them – blackberry cobbler or jam, anyone? They demand something delicious be made with them. 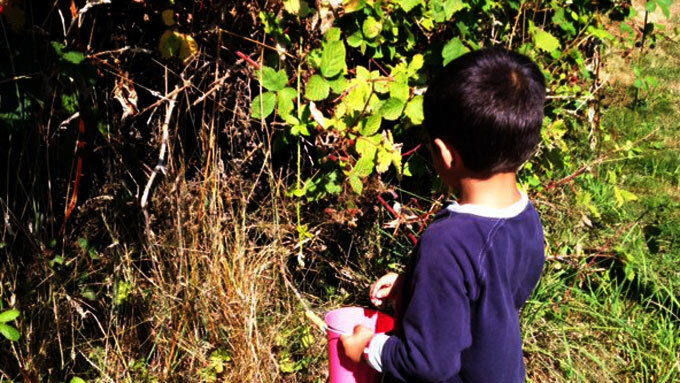 However, when berry picking with kids the number of berries picked can diminish after about 3 minutes- the maximum time a young child will engage in an activity without whining. 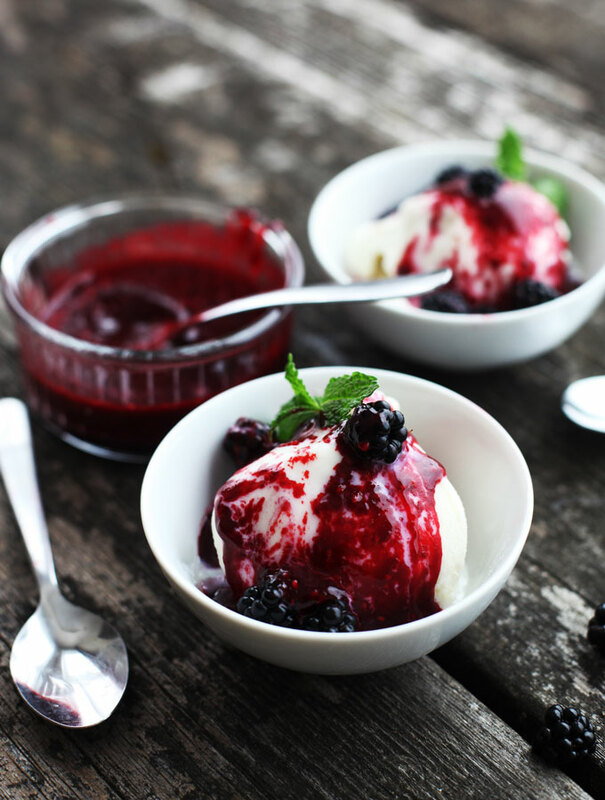 But even with only a small batch of berries, so many recipes can be deliciously prepared. 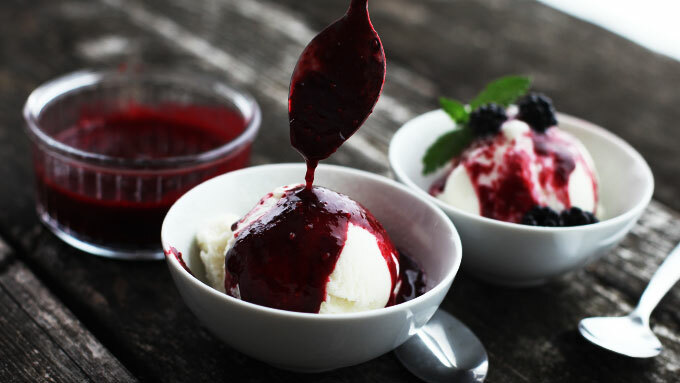 Today I have a simple small-batch homemade blackberry sauce which is perfect as an ice cream/frozen yogurt topping or poured over homemade pancakes and French toast. It takes about 8 minutes to prepare and tastes ridiculously fresh and good, not to mention not too sweet. 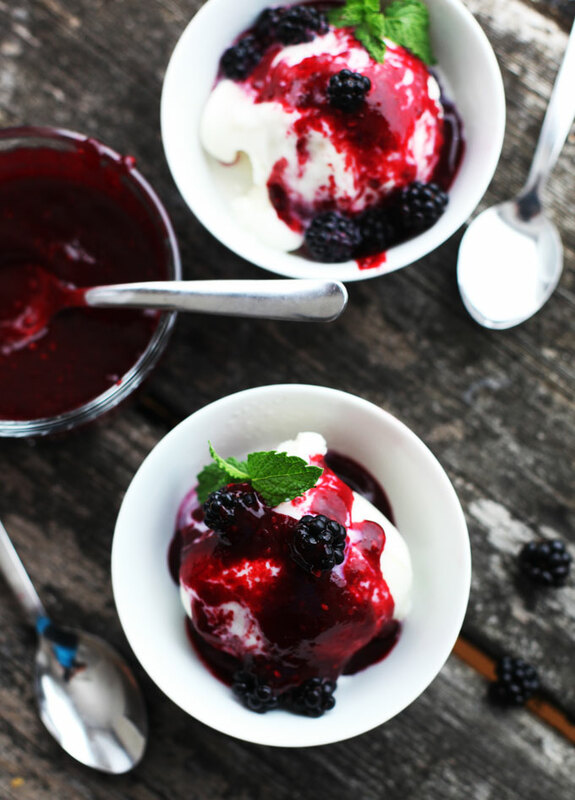 The sauce itself tastes like summer, where memories are made and blackberry war stories can be shared from the family table. Enjoy! 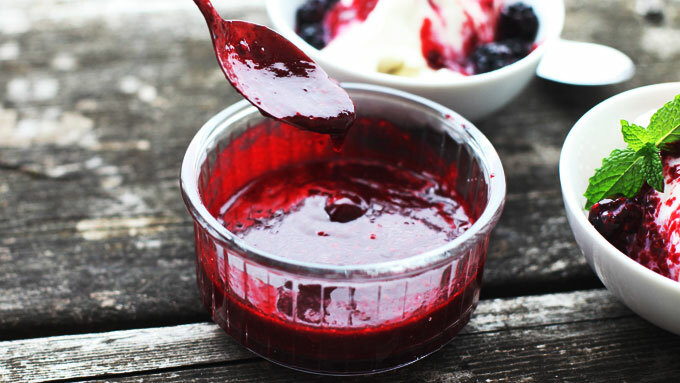 A simple fresh homemade blackberry sauce recipe that can be made in under 10 minutes from start to finish. Great for pouring over ice cream, pancakes, waffles, and French toast. In a medium non-stick sauce pan, cook the blackberries, 1/4 cup water, sugar, and lemon juice on medium high for 5 minutes, stirring occasionally. Transfer the berry mixture to a blender or food processor and puree the fruit for 30 seconds in two 15 second intervals. If the sauce is completely pulverized and pasty thick, add the remaining 1/4 cup of water. Blend again for 15 seconds. The sauce will be fluid. Transfer the sauce to a serving dish. Store any remaining sauce in the refrigerator for up to 2 weeks.